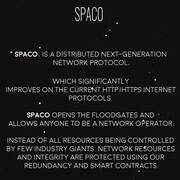 Spaco is a next generation network protocol. The Spaco team is working closely with Skycoin to create a new free and open internet. It's a very ambitious project that will be a gift for future generations. Synth is an advisor to the Spaco team. The Spaco Pre-ICO sale is over and the team is working on finalizing their white paper. 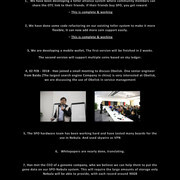 Missed out on the pre-sale? You can still earn Spaco by following them on telegram and inviting friends to the group. The community is growing day by day. Is SPACO the first project associated with Skycoin? 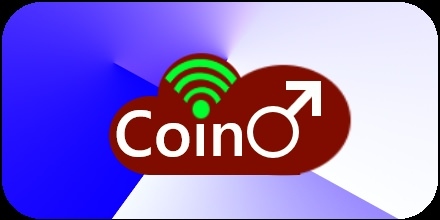 (01-15-2018, 06:17 PM)CoinBoyy Wrote: Is SPACO the first project associated with Skycoin? Can you, in a nutshell, tell/explain to me what Spaco's area(s) (and depth) of expertise are (e.g. will they be involved with the tech described in the Sky Meshnet Whitepaper?)? 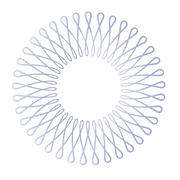 Hi, please embroider on your statement " Spaco is also assisting in the tech behind...skywire". Latest from Spaco now rebranded to SPO. New logo, white paper, website, and ICO coming this month.